Would have been better if other people on the tour knew how to kayak. Our tour guide Matthew was awesome and it was a great dose of couple&apos;s therapy to navigate a double kayak with my husband. We had so much fun and then enjoyed some free time on the beautiful beach. We had a great time Kayaking and the beach was clean and the water wonderful. Great guide, super fun kayaking in the mangroves, lovely beach. The weather conditions were not the best, however the tour company made every effort to ensure we had a memorable and value added excursion. Salt creek kayaking and nature walk and beach - best bang for your buck and we got to feed raccoons! This is without a doubt the highlight of our entire cruise. We did the Freeport Kayak and Nature Experience. Really enjoyed this. Got a good overview of the island from the guide. The kayaking was great, and the beach we ended up on was desolate and beautiful. This was one of our favorite parts of the trip. Highly recommended. We kayaked through mangroves and then took a short nature hike to a private beach. We kayaked through mangroves and then took a short nature hike to a private beach. Our guides also provided sandwich lunches at the beach. I would absolutely do this again. Kayaking with Nature Experience was the BEST experience I have had on a cruise. If you see Sam, tell him you read this review and he&apos;ll put you in his group. This was my favorite island experience overall. We did the Kayaking and Nature tour. The ladies took the Kayak and Nature Experience and loved it. Worth the expense. We loved it. It was a little challenging, but good exercise. The excursion was very nice and our first time snorkeling. 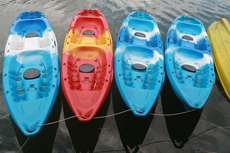 We selected a kayak and snorkel trip in Freeport.